Help please identify.. Crown or skull? I noticed this photo in an old post from 2010 (#719) wrongly identifying this group as Freikorps Caspari. Freikorps Caspari had nothing to do with the Iron Division or the Baltic. 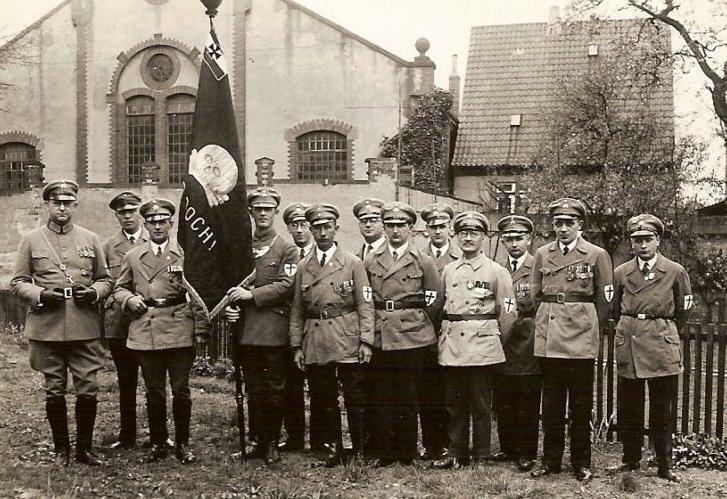 Nor, did they have a veteran's organization of former members as all Freikorps Caspari members either went into Reichswehr Brigade 10 or the Bremen Security Police in June 1919. This photo is in fact of veterans of the Baltic Landwehr/Deutsche Legion/Iron Division which fell under the umbrella of the Verein Ehemaliger Baltikumkämpfer founded in 1922, which became the Reichsverband Baltikumkämpfer in 1933. The black sword on a white shield was originally the insignia of the Baltic Landwehr and was adopted later by the Deutsche Division and Iron Division during the Riga campaign. 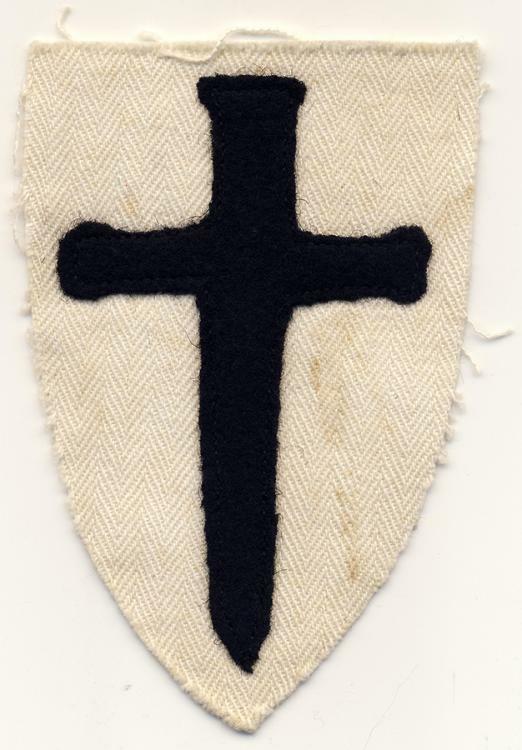 Here is an example of the sleeve badge seen in the photo. I found this at the Bundesarchiv site................caption says it's a (British?) 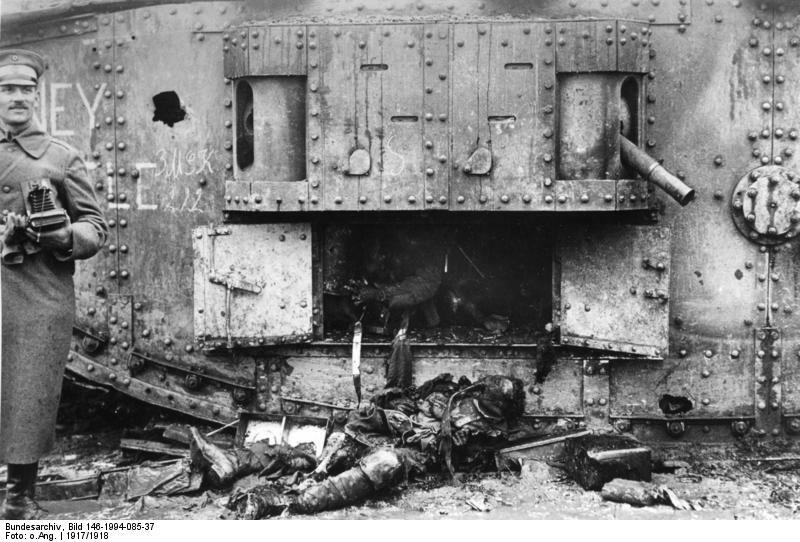 tank, destroyed by German flamethrower action. I think that direct hit/penetration by a large caliber shell might have had something to do with it.